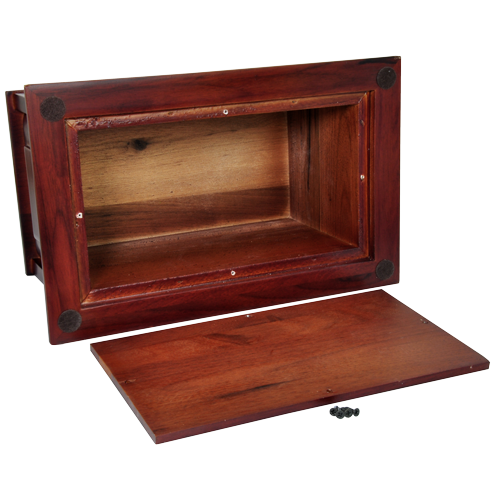 Add engraved clip art, directly into wood? 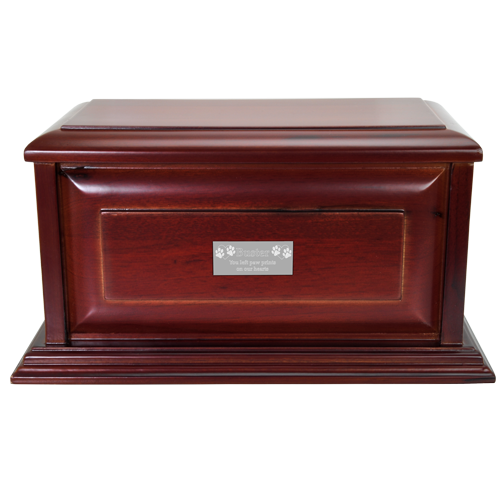 This handsome wood urn is beautiful with or without personalization because of the natural beauty of the cherry wood. 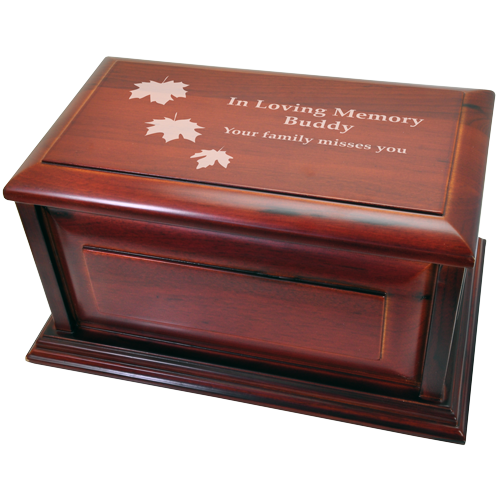 This urn is perfect for engraving- engrave directly into the wood or engrave on a matching small plaque (refer to photos for samples). 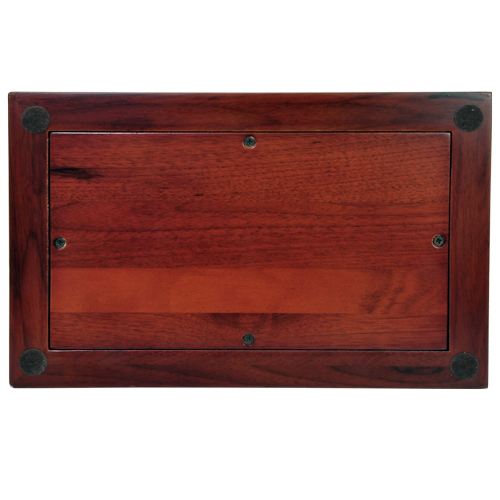 Standard engraving looks almost white in appearance when engraved directly into wood. Clip art is also available for more personalization at an additional cost. You may submit a digital photo for us to create an engraved photo plaque of your loved one in silver or brass finish. Approximately 240 cubic inches. 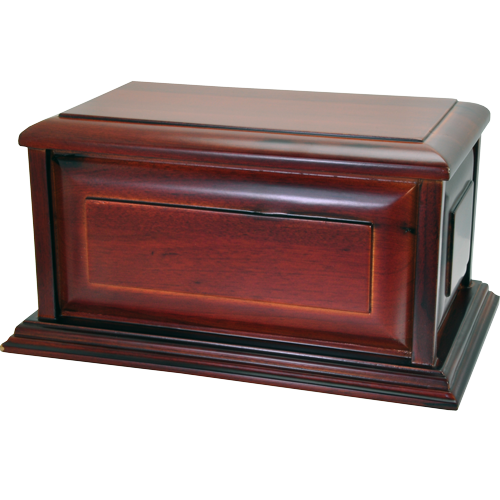 Will hold the ashes of a loved one that weighed 240 lbs or less at the time of passing. 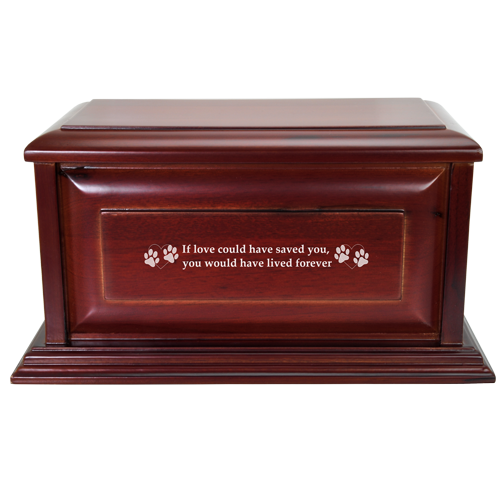 This urn may be used to hold ashes plus keepsake items such as a collar, id tags or favorite toys. 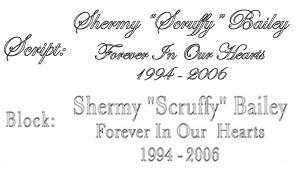 Small Plaque: 2.5"W x 1"H- may be added to top or front of the urn. Available in brass or silver finish.